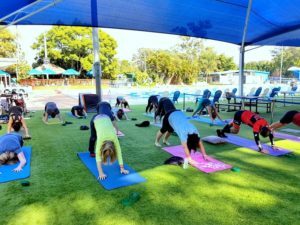 Providing group and individual Yoga, Mindfulness and Wellness Coaching classes in Brisbane. Yoga Elixir aspires to transform the way you feel about yourself – your body, your mind and your spirit, by awakening your inner wisdom through movement, mindfulness and your mindset. Yoga truly is a practice for everyone, no matter where in life you’re at – from athlete to inspired couch potato. There are all body types, shapes and fitness levels out there. All of them need love and self-care. The by-product of yoga is an improved physique, (and let’s be honest, we’d all take that…) in between there is so much more – so take the leap, begin now and create an ongoing experience in your body, mind & heart. Yoga fires up those feel good sensations; it’s strengthening, it’s energizing, it’s restorative and, you always feel better at the end of a class than you did before you began. Learn the foundations of yoga in this class to build a safe and solid practice. This is a dynamic and invigorating class with a strong focus on breath, flow and alignment. release tight muscles? This class is a deep Yin style practice accompanied by an energetic flow. This class is a restorative practice to deeply relax the body and to calm the mind. Relax, repair and renew. 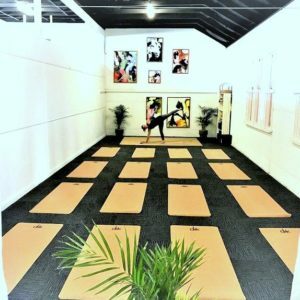 We have created a space & practice just for you…. Welcome to our urban sanctuary in the heart of Woollongabba – The Tribal Space. Our studio is a light and airy oasis, surrounded by natural & botanically based aromas. We are fully equipped with mats and props – although feel free to bring you own if you wish. As registered Level 1 Yoga Teachers with Yoga Australia, classes may be claimable on your private health insurance. "Yoga Elixir classes are a great mix with physical and spiritual elements. I especially enjoy Bec’s inspiring quotes for the day. 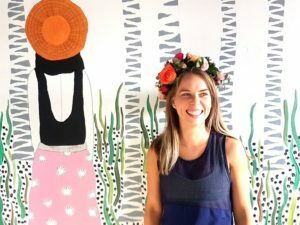 The Tribal Space is a lovely, peaceful environment and Sharon and Bec are warm, welcoming and supportive. The Awaken Vinyasa classes have been the best way to start my day positively, calmly and energetically." Absolutely LOVE my Friday morning yoga classes with Sharon. It's such a great inspiring and balanced one hour of yoga and I can only recommend it to anyone with a genuine interest in yoga.